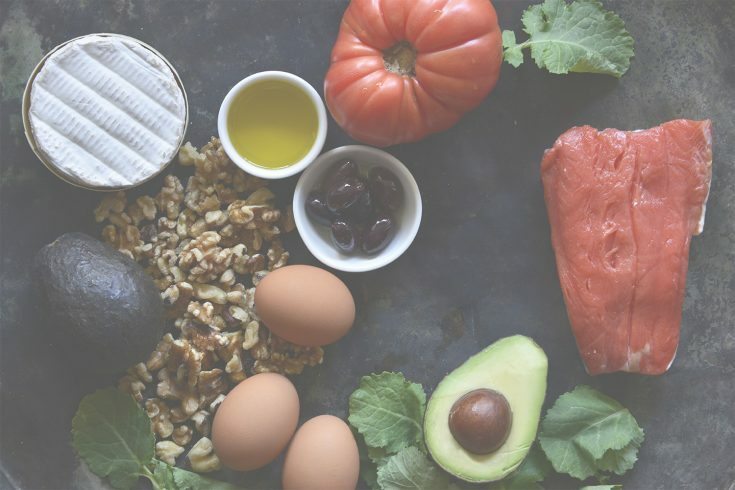 We’ve made this straight forward Beginner Keto Grocery List to help you navigate what foods you can eat on a keto diet. What foods can you eat on a keto diet? I know it can be confusing, you go to a million different sites and see a bunch of different things. Well, we’ve tried to simplify things for you today with this keto shopping list. 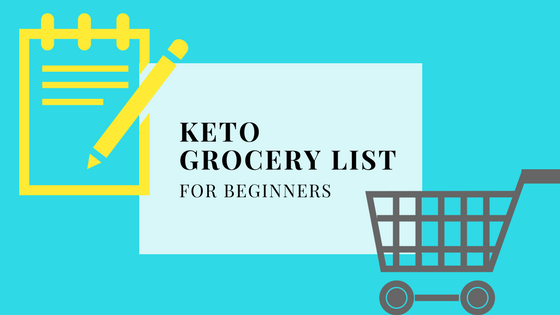 One thing that you will notice in our beginner keto shopping list is that we stress the importance of getting in whole foods. The majority of your calories should come from nutrient dense whole foods which in vitamins and minerals. The quality of these foods matter too. Whenever possible, you should strive to eat grass-fed and grass-finished beef, pasture raised chicken and pork, wild caught seafood. We get a lot of our grass-fed beef, pasture raised pork and wild seafood from US Wellness Meats. US Wellness Meats are super high quality meats and taste delicious! I’ve had some 100% grass-fed ground beef and ribeyes before from other brands and the texture and flavor just weren’t there. With US Wellness meats you get everything! Great taste, great product and competitive price with super markets and other online grass-fed delivery services. Since hormones and antibiotics are fat soluble and a ketogenic diet is high in fat, it is important to consume higher quality fatty meat. Another alternative if you cannot afford to get grass-fed and grass finished meat is to opt for a leaner cut of beef and add a high quality oil to your meal. Another reason to eat grass-fed and finished meat and pasture raised pork and poultry goes along the lines of, “you are what you eat.” If you feed your livestock grains, they will have a higher omega 6 (pro-inflammatory) profile and lower omega 3 profile (anti-inflammatory) than if they were traditionally grass and pasture raised. We add collagen peptides to our coffee every morning because it’s beneficial for healthy joints, skin, hair, etc. If you use collagen peptides or want to add it to your diet after talking with your health care professional, we recommend Naked Nutrition Collagen Peptides Protein Powder. This product is grass-fed and pasture-raised, and is GMO free, dairy free, soy free, gluten free, and free of growth hormones. With most of us transitioning from the standard American diet which is high in omega 6 fatty acids, it is important to put a focus on increasing the omega 3 fatty acids in our diet which have anti-inflammatory properties. Let’s throw a little caution to the wind and note that not all Omega 3 fatty acids are created equal. The Omega 3’s that are found in salmon and sardines are high in EPA and DHA where as the above nuts and seeds are high in ALA.
Our body’s usable Omega 3 fatty acids are DHA and EPA. ALA is an Omega 3 fatty acid as well but it does not efficiently turn into EPA and DHA (only about ~5%). You can still eat your nuts and seeds to get in some Omega 3 fatty acids, but it’s best to consume some of the above fish or take a high quality Omega 3 supplement to ensure you are getting in enough anti-inflammatory fatty acids. This is a huge topic out in the keto world. 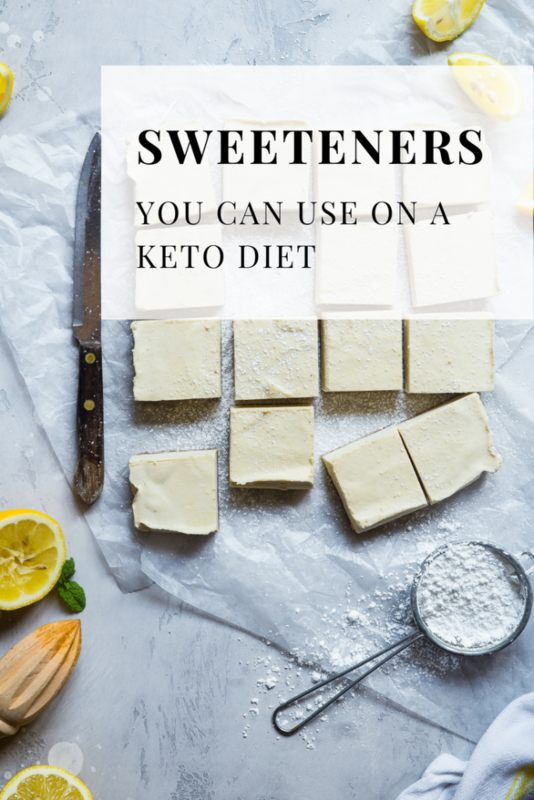 So much so that I wrote a whole post on it which you can read here —–> KETO SWEETENERS. Most non-starchy vegetables are fair game on a keto diet. There just wasn’t enough room on this little infographic that I made here to list them all LOL. 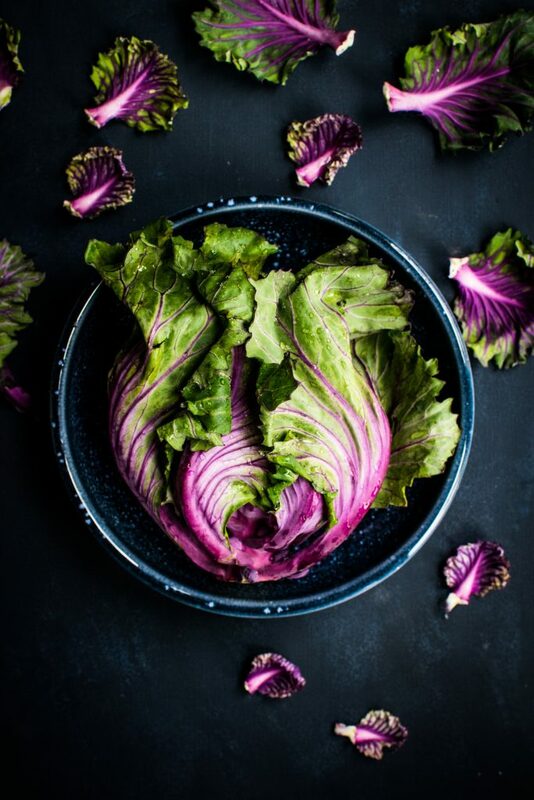 The only non-starchy vegetables you may want to avoid are ones that 1) you are allergic too, 2) you have a sensitivity to (ask me to find out how), 3) don’t agree with you digestively. What dairy products can you consume on a keto diet? We opt for grass-fed grass-finished dairy when possible. So many people (including myself) have food sensitivities to corn. By consuming grass-fed grass-finished dairy this eliminates the risk of having a reaction to corn like you would if you eat conventional dairy products. ***UPDATE*** WE JUST WROTE A SUPER LONG POST ON KETO DAIRY PRODUCTS. GIVE IT A READ IF YOU’RE LOOKING FOR MORE INFO ABOUT DAIRY ON KETO. Are you a snacker? 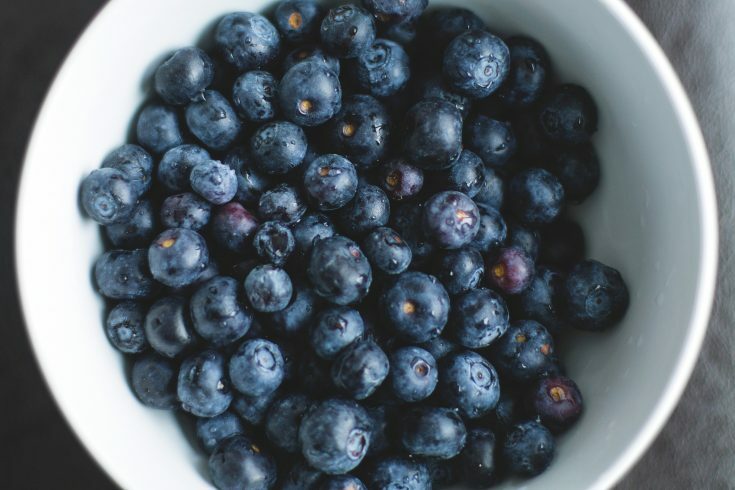 If so this low carb snack list is for you! We talk about our favorite low carb snacks you can buy (a few knew ones we just tried at KetoCon) and our favorite keto snacks you can make yourself. I always end up eating leftover food off people’s plates because I HATE to waste food. Especially leftover brisket. TBT to Terry Blacks in Austin with Faith when I *had* to help her finish her brisket. It’s a hard life but someone has to do it! We also wrote a whole post about Nuts on a Keto Diet and Flours to use on a keto diet that you may find useful. 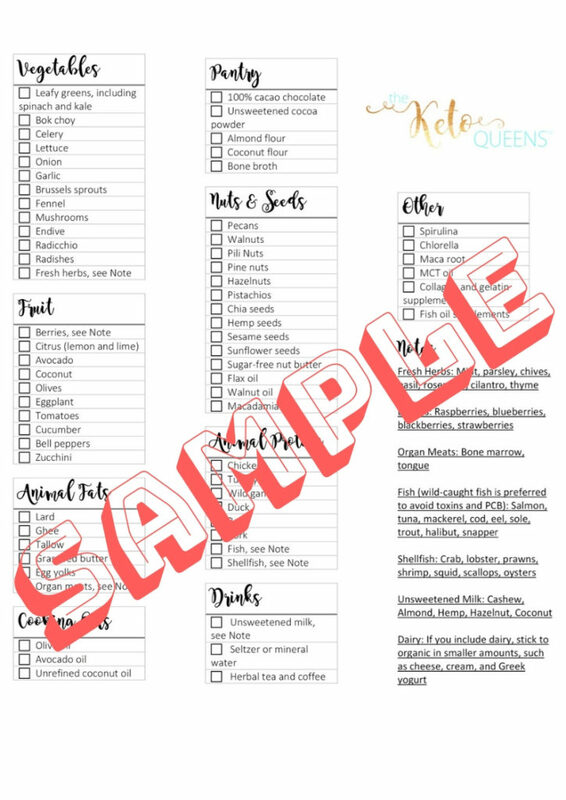 We’ve made a printable keto grocery list to made grocery shopping easier. Click the image below to download. Pre-Filled and blank grocery list available. 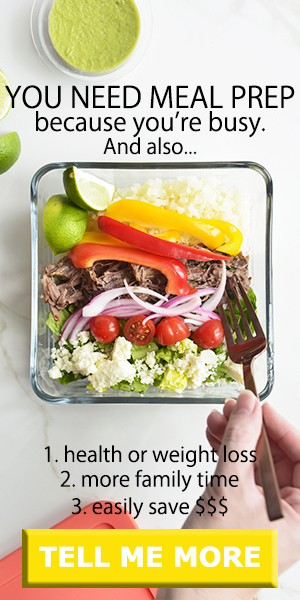 Below is a simplified beginner’s guide to eating on a keto diet. This beginner keto grocery list will help you navigate the grocery store. If you’re short on time and need to stop at a fast food restaurant, check out our Keto Fast Food List. This low carb fast food guide will give you our top fast food restaurants to eat at, along with what keto fast food options we would get. The perfect grocery list. I’m so ready for grocery shopping. Thanks for creating this list for us. Hi Wanda, so glad we could help! Good for you, Ms. Nellie! I hope it is worth out well for you! Thank you for the grocery list. It certainly simplifies shopping. No problem! We hope you enjoy it! First time with Keto… 31 male – ex- athlete & diesel mechanic. 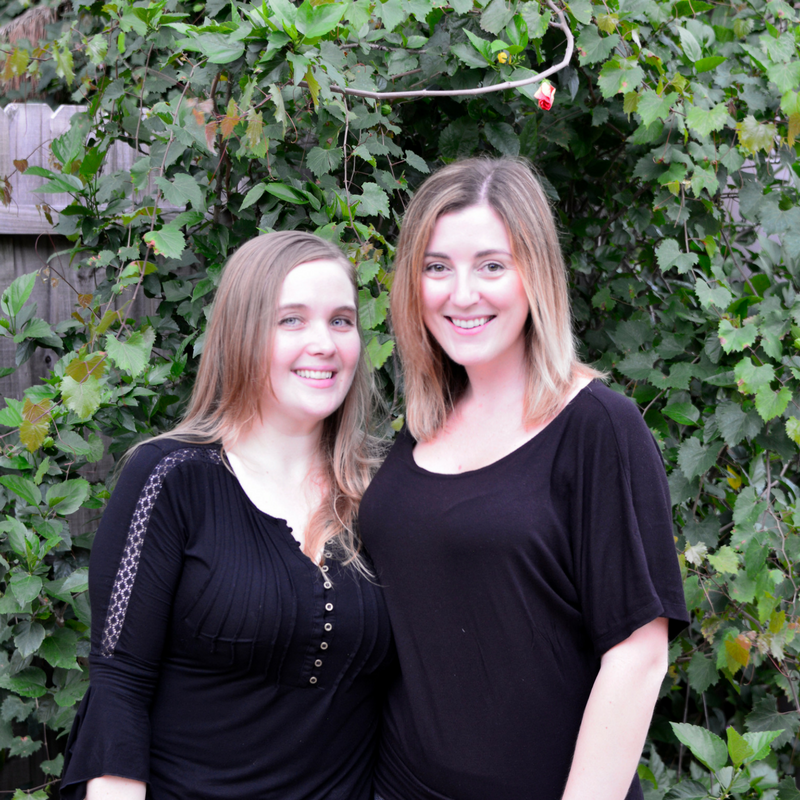 New career – with a 50 hour a week office job,looking to feel great and lose 50 lbs by fall. Any tips or suggestions to aid in my success? Much appreciated! Hi Jordan – thank you for reaching out. 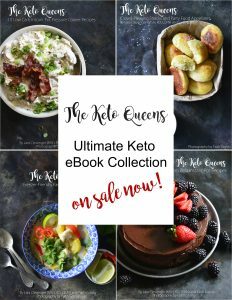 We have a ton of articles on here (https://theketoqueens.com/category/blog/) that you may find helpful. 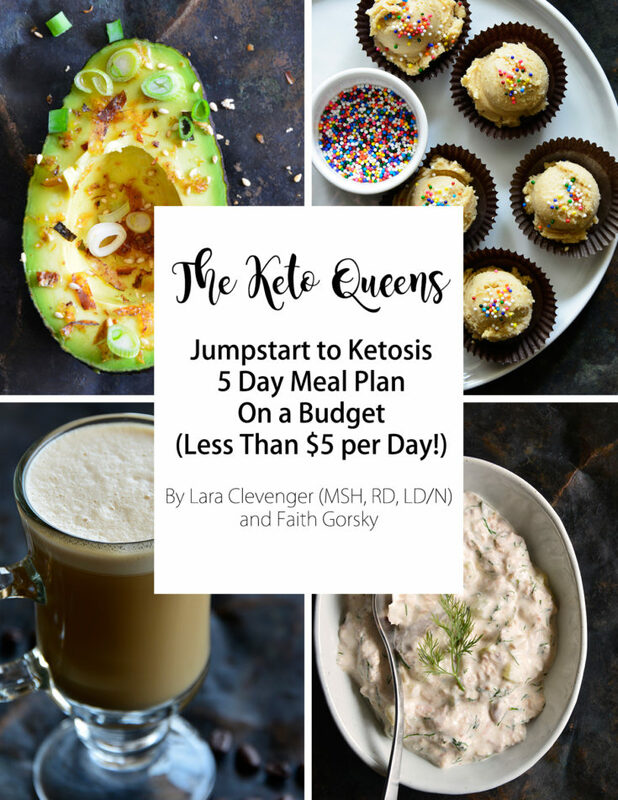 We also wrote a post about starting a keto diet (https://theketoqueens.com/keto-diet/), then we have a keto course that walks you step by step to starting a keto diet (under shop), and if you need individual keto coaching I do that on my other website LaraClevenger.com. Please let us know if you can help in any way. My husband and I are excited to start this diet. I am lactose intolerant. 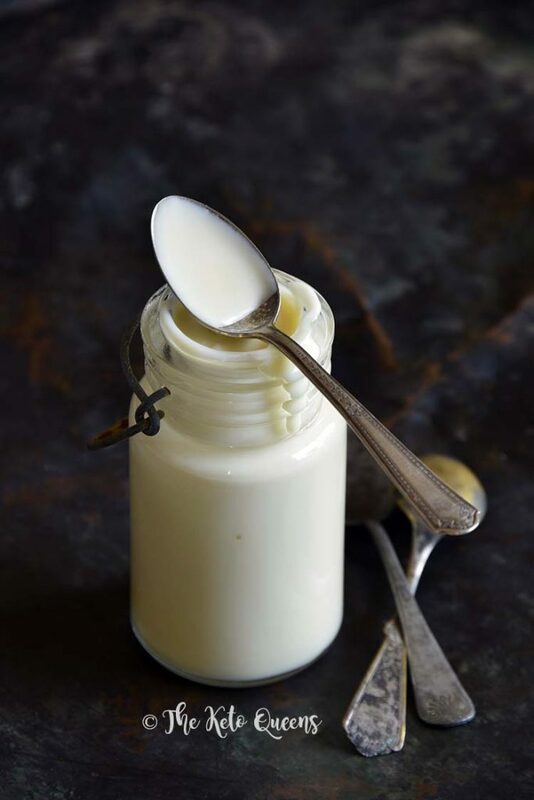 Is there a list of substitutes for the the dairy products available for the Keto diet? Or maybe a list of substitutes for dairy milk products? I would really appreciate some help please! can you have fresh (unprocessed) cow’s milk, cream, butter? Do you have an Instagram account that I can follow? Have just begun the Keto journey with a co-worker. Do you have a newsletter? If so I would like to sign up. Is this diet healthy if you have high cholesterol and also gallbladder stones? I want to do this Diet. You should always ask your doctor before trying a new diet or exercise regimen. Typically individuals will see a change in cholesterol. This is usually a raise in HDL cholesterol and LDL cholesterol, but a drop in Triglycerides. We still eat both onions and brussel sprouts 🙂 As long as you eat them in moderation and keep your over all carb content in your diet low you should still be able to maintain ketosis. I purchase the 30-day keto fix blueprint.Everything looks great, butis there a grocery list for each week meal plan? Hi April, the 30 day keto fix isn’t our product so I’m not sure. Hey y’all have suggestions as far as spices and marinades? I never thought too much of it but many of those items contain lots of sugars and carbs. I grilled some really good Korean bbq chicken thighs and ate with butter leaf lettuce if anyone is interested in the recipe. Juniprr, We recommend moderation and of course ask your health care professional before consuming alcohol, but dry red wines, unsweetened liquors, and some low-carb beers are keto-friendly options. Thank you so much for sharing this grocery list for keto beginners! I’m a keto beginner and will surely follow this list. Keto dieting is made easy because of this blog. I am still thinking of embracing the keto diet because I have read about it and almost all reviews are positive. Thanks for this helpful article! It is important to keep a grocery list. It helps making the task efficient. Having a keto grocery list makes sure that you stick to your recommended diet. Thanks for sharing this! Ladies, I was so glad to find this grocery list. I will reference your site often as I hope to turn improve my family’s health through much needed dietary changes. I think this will make so much of a difference. Thank you for your diligence! Malaika, Thank you so much for your kind words. We’re so happy to hear you found this helpful! This is a great keto grocery list! Thanks! Lynn, Thanks so much, we’re so happy you’re finding it helpful! I am on day one of trying the Keto way of life, wish me luck! Thank you for putting together a grocery list, this will be so helpful! I appreciate this guide. I am a beginner, and I’m glad you have this list. It saves me a lot of time and money. Thanks! This looks awful and restricting. It’s definitely not for everyone, lol! We prefer to focus on all the delicious, nutrient-dense real foods we can have instead of thinking about the foods we try to avoid. 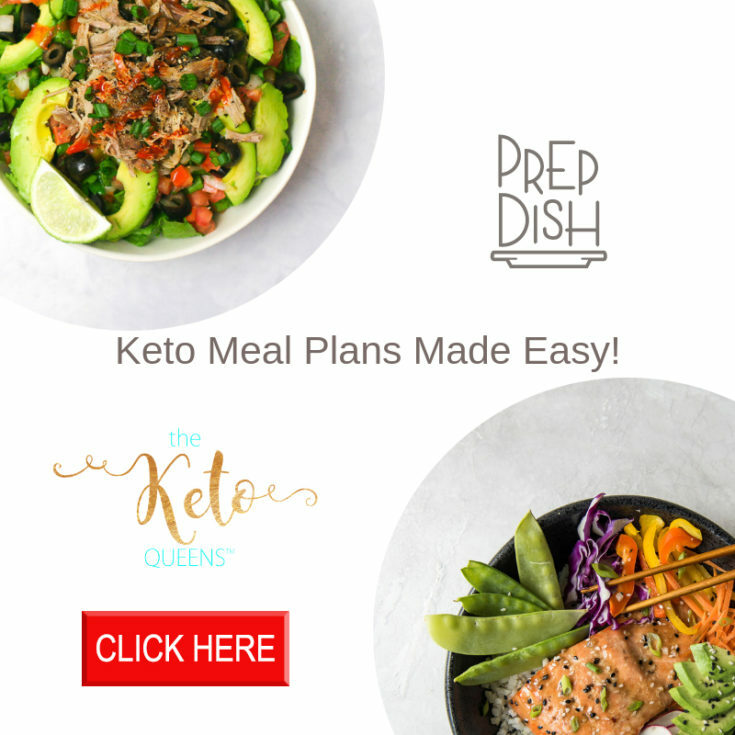 We’ve actually never felt restricted while living a keto lifestyle (take a look at our Recipes page and you’ll see what we mean). We noticed that when we nourish ourselves, our health improves and we feel better in so many different ways. We wish you success in whatever lifestyle works best for you! I have hypothyroidism and struggle with my weight. I am curious if there are any foods to avoid/eat more of with hypothyroidism? I can gain weight just by breathing. Thank for your help with this list to get me started! Helene, Thank you so much for leaving a comment. Because this is a very specific medical condition, we recommend asking your doctor what foods to eat and what foods to avoid. With that being said, a food sensitivities test (MRT) may be helpful to you. Wishing you all the best. This is great information, Keto diet should always be associated with a healthy lifestyle and lot of exercise to burn those unnecessary fats. No other diet for weight loss is near to keto diet. Fast loss of weight was never so easy. This post covers all about keto diet, great job. If you’re new to this diet and wanna know the mechanism, what to eat and not, benefits, types of it, FAQs and some of the biggest mistakes to avoid in a keto diet. Read this and burn fat quickly. Thank you for posting usable lists but how does one know what the limits are for the dietary requirements? Back in the day, you would have a number set for calorie, carbs, fat grams, etc limits that you would strive to follow each day. I see all kind of recipes that lists content for following the Keto method but I don’t know how to apply the information in a usable way. Am I missing something?